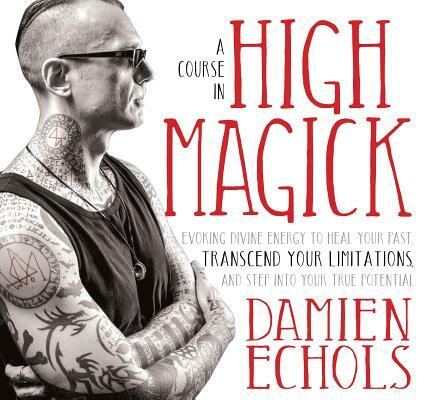 "High Magick is the ability to shape the world around us with our will," teaches Damien Echols. "Whether you know it or not, you're already doing magick with every thought, word, and deed. The only difference between a magician and the average person is that a magician does it intentionally." Damien credits the practice of magick for helping him survive his wrongful imprisonment on death row--and allowing him to create the circumstances that led to his freedom. With A Course in High Magick, he shares the essential elements of this powerful practice for expanding consciousness and unlocking your hidden potential. "Magick starts with mastering the basics, then finding which techniques and variations work best for you," teaches Damien. "That doesn't happen overnight--but those who stick with it find treasure beyond imagining." Created as a practice-based audio companion for Damien's book High Magick, this course guides you with precision and clarity through each step of the essential techniques for accessing your power to reshape your reality. Starting with simple breathing meditations, Damien helps you build your "magickal muscles" with spiritual practices that have been empowering mystics and magicians for centuries. "With consistent practice, magick becomes second nature," says Damien. "You'll be doing a refined version of what you've done every day of your life--only more deliberately, and with a lot more power." For anyone committed to personal transformation and service to a greater purpose, here is an invitation to step into your power and begin manifesting the world you want to see.